Brand new move in ready 3 bedroom (one could be study/office), 2 bath, 3 car garage on 5 acres with city water, natural gas & fiber optic cable. Main level living w/walk out basement waiting for your custom finish. Great room with gas fireplace opens to light & bright kitchen w/granite countertops, stainless appliances and island. Fantastic laundry area on the main with storage. Floors are incredible wood laminate. Multiple outdoor living options on covered front porch & covered back deck. 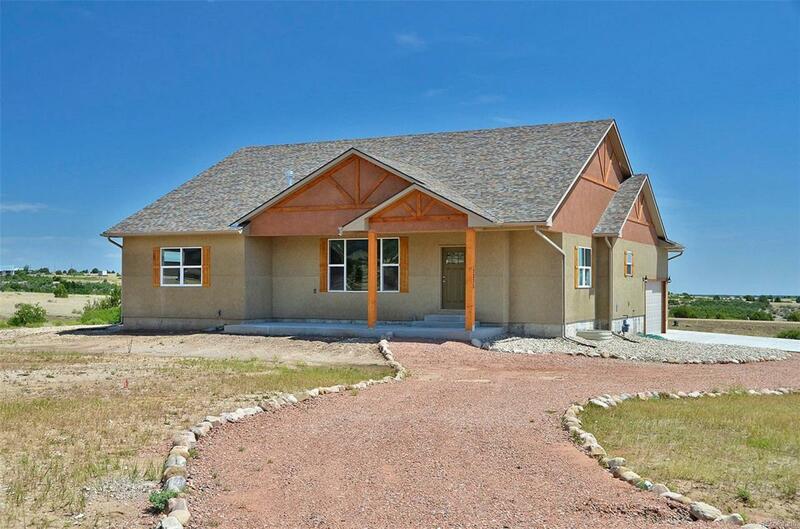 This gorgeous newly built home sits on 5 Acres zoned for horses with views of Greenhorn Mountain, the Spanish Peaks and vistas in all directions. It is in the Wet Mountain foothills along the front range with easy access to Interstate 25. Lake Beckwith for trout fishing or to Holly Dot Golf Course for 18 holes of golf. The San Isabel National Forest nearby. Taxes are for land only and will change to residential and a residential tax basis. Owners are licensed Realtors in the State of Colorado.